This heavy duty 150mm blue rubber fixed castor is designed and fabricated to withstand heavy impact loads, making it suitable for medium/heavy industrial use in applications such as order picking trolleys, linen handling trollies and waste bins. Request a quote now! Enter your required quantity, add to cart, and we will be in touch ASAP with pricing and to process your order. 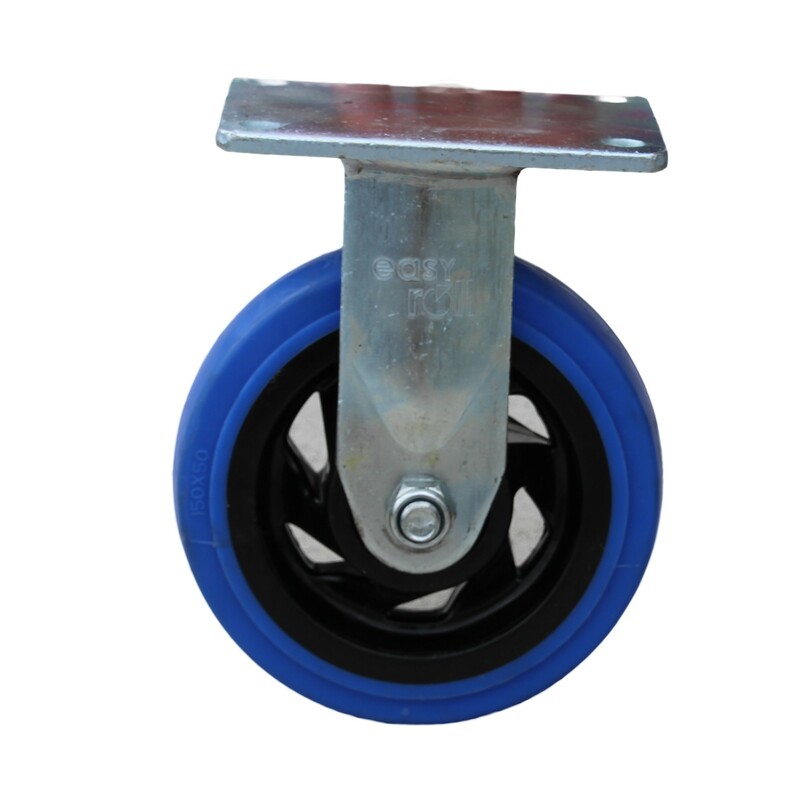 Be the first to review “150mm Blue Rubber Fixed Castor” Click here to cancel reply.